Day number four of giveaways has arrived and today I have a prize from the wonderful people at Gumigem to giveaway. I am a huge fan of Gumigem and I have reviewed two of their items previously on my blog. 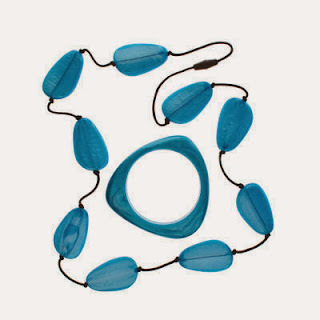 Not only is their jewellery fab for little ones to chew on and get some much needed relief from teething pains, it is also a lovely accessory for mums to wear. For your chance to win a necklace and bangle set of your choice just fill in the rafflecopter form below. This competition is open to UK residents only and will end at 11.59pm on the 10th December 2013. This would be great for my teething twins!